It is very disturbing to have a heavily stained oven that you do not feel like cleaning. Anyway the process would perhaps take you hours and the result won’t even be as flawless as wanted. Stained ovens need to be treated carefully and with the right detergents, in order to be cleaned properly without damaging the surface of the appliance. Don’t waste your time trying to clean your oven on your own and spend a few exhausting ours on scrubbing it, if you could simply contact our company and hire our cleaning experts to clean it for you. What you need is our oven cleaning services and we guarantee your absolute satisfaction. Our company has been in the industry for many years, developing and improving its services in order to make sure that clients are always happy with the work. We operate in London, where we cover the whole area and please a huge number of clients every day. We offer the best oven cleaning services that have made many customers happy and have provided them with extremely clean and disinfected ovens. 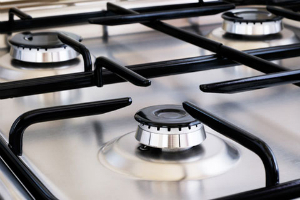 If you want the best for your oven, it is our service what you can rely on. We work with the best team of experienced cleaners, who are excellent at their job and can remove successfully every type of tough stain from your oven. We also carry out the cleaning process with the help of a variety of high-quality natural detergents, all of which are perfectly safe for both the environment and your family’s health. Our cleaning products are chemical-free and don’t put your health at risk. They are mild and protect the surface of your oven and yet are strong enough to do the job ideally. Our reliable employees will come to your place at the right time and help you acquire a clean and disinfected oven that looks like brand new. They will inspect the oven carefully and determine the right approach to cleaning it in the safest and most effective way. You can contact us any day of the week, also on holidays. We are available any time to come and clean your oven for you. For more information, please contact our customer support centre.